When Levi Judson arrives and shows Ainslee his designs for new tiles, she's impressed by his skill and passion for the business. But he's hiding his true reason for coming to Weston. And Ainslee knows he'd be crushed to learn his plans for a long career at McKay Tile Works are in vain since she intends to sell. Can the growing feelings between them survive if the truth comes to light--or is a future together as untenable as the future of the tile works itself? 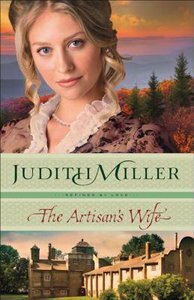 About "The Artisan's Wife (#03 in Refined By Love Series)"